Today’s society is comprised of people on the move, with the one common denominator manifesting as a cell phone. Marketing expert, Nitin Chhoda, coaches private practice owners worldwide on ways to increase patients and revenues, and said many practice owners are still trying to communicate with patients through outdated and ineffective avenues rather than employing mobile marketing, something he is trying to solve with his brand new solution called Therapy Newsletter. Practice owners can also collaborate with other business owners to provide unique and mutually beneficial promotions. Nitin Chhoda, a marketing expert, said that people normally carries three things when outside their home – keys, wallet and cell phone. Many individuals check their text messages even if they are not using their phone or email. That is why traditional forms of communication for physical therapy business are not working in today’s fast-paced world, which is exactly why he has introduced a brand new service that combines mobile and email marketing called Therapy Newsletter. Phone directory – few people even know they have one or where it is. “Text messages are cheaper and get read faster than traditional email and snail mail, allowing you to save time and money, and get immediate responses from patients,” said Chhoda. 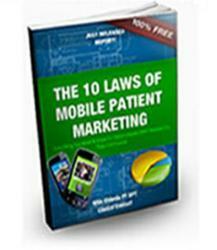 Mobile marketing can be used to send appointment reminders, announce special deals and offer free incentives. Practice owners can use other physical therapy marketing tools by conducting surveys, creating mobile coupons, and offering downloadable games, ringtones or eBooks. Practice owners can also collaborate with other business owners to provide unique and mutually beneficial promotions. Potential patients are moving away from landline phones, desktop computers and even laptops in favor of the convenience and portability provided by smartphones and tablets. Chhoda noted that many practice owners are choosing to hire a service or purchase a software program, such as Clinical Contact and Therapy Newsletter to manage their mobile communications. Chhoda said that direct, friendly communication is essential to build a rapport with patients and mobile marketing is a cost-effective method that can be utilized in a myriad of ways to reach clients where traditional forms of communication fail. In today’s economy, small practice owners can’t afford to wait for customers to come to them, Chhoda said they must take an active role in patient recruitment utilizing the media of the day. In the 21st century, that’s mobile marketing. Chhoda’s office can be reached by phone at 201-535-4475. For more information, visit his physical therapy website.